Pharmacy cheapo pair – I’ve gone the drug store route, “Wow! My prescription glasses for only $10! Sure they are super ugly but at least my wallet won’t be hurting!” We all know where this is going…after one week of crooked lenses, rickety frames, and constant headaches, they break. Luckily we are now living in the digital age and we can finally get the perfect glasses at a fair price! Competition really is a great thing online because there are now hundreds of eyeglass retailers that offer great prices and deals. The only problem is its difficult to weed out which ones are cheap, but also meet the high-quality standard and can accurately match your prescription. Our goal with Online Glasses Review is to help you find those diamonds in the rough and get you the best eyeglasses online at the best prices. You will find on this site a guide for choosing the right glasses for you and detailed reviews on the various online eyewear retailers. These reviews incorporate expert advice from vision professionals as well as aggregated user reviews from around the web. By using this website, I am confident we can find the perfect glasses for you! Click on the brand title to read our in-depth reviews! Eyeglasses play an important part in a person’s look, especially if you need to wear a permanent set of prescription lenses. The right pair of glasses can make you look hip, intelligent, and fashionable. The wrong pair of glasses can make your face look disproportionate. That’s why it’s important to select eyeglasses that complement the color and shape of your face, as well as personal style. Have your eyes checked. Before investing in a pair of glasses, you should know what the right lenses are for your eyes. For those in immediate need of replacement glasses and no time to shop online, it’s best to go to the nearest retail store and shop for inexpensive eyeglasses in the meantime. When planning to invest in a good quality pair of eyeglasses, visit an optometrist. This expert may offer eyeglasses at a higher cost but value and service are practically guaranteed. Consider the aesthetics. Some frames look good on a particular face shape. Create a more professional and business-oriented look by going for frames that have traditional colors like brown, black or silver. Examine and consider your skin tone, eye color, and hair color before making any purchase. Mind your budget. High quality eyeglasses don’t need to be expensive. Skip the extras. People should only purchase what they need. 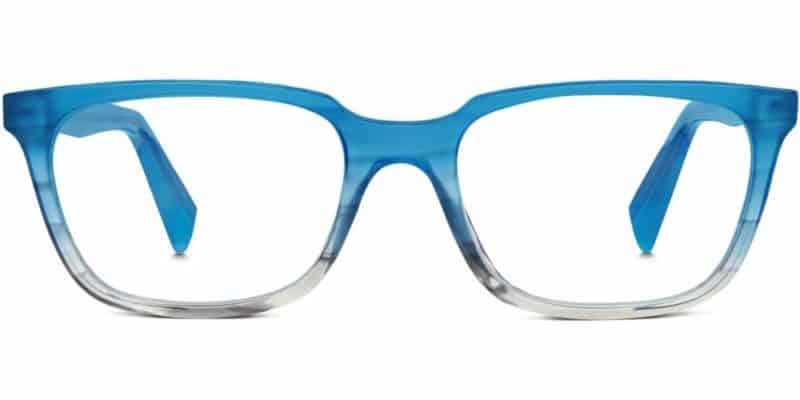 There are a lot of available eyeglasses online that offer additional features like color-changing lenses, UV protection, and scratch-resistant coatings. While these features effectively provide what’s expected of them, they are quite unnecessary for those just looking for prescription glasses. Stay away from brand and designer names. You can still purchase trendy, classy eyeglasses similar to designer ones at a much cheaper price, simply by searching online. Look for coupons. Watch out for discount coupons that can be used at participating stores. Sometimes, these coupons are attached to magazine pages and online shoppers can already get the best deals by simply entering the code provided in the coupons. Check your benefits coverage with your insurance. Some insurance companies cover a particular portion of the total cost of of frames and lenses depending on your plan. A person should check himself in front of the mirror first before making a purchase. It will be helpful to determine if the face looks good while wearing glasses or not. Nearsighted individuals must get thick lenses that have thicker frames. Thick frames cover up those lenses that are prescribed by eye doctors. For people who have bad eyesight, it might be difficult to see the look of the eyeglasses that they will wear. So, when buying eyeglasses online, try to ask the opinion of trusted people who have a good sense of fashion and style. Go with styles that say something about your lifestyle. Business professionals go for classy eyeglasses, while athletic individuals go for eyewear that has an active and sporty design. If eyeglasses don’t seem to work, wearing contact lenses is the alternative solution. Know How to Buy Quality but Cheap Sunglasses Online! It is important to point this out right away – you can find and buy quality but cheap sunglasses online. Just arm yourself with two things: the right online store and the knowledge on how to pick the best quality sunglasses. That’s what you’ll know more about here. People have this notion that expensive and branded items are of better quality than cheap ones. It may be true in most products on the market, but not with sunglasses. How come? About 70% of sunglasses sold by different brands today originated from a single company. This same brand also sells their glasses via their own stores. A huge portion of what you pay for in sunglasses is not the quality of lenses, but the brand. Therefore, there’s really not that big a difference between expensive and cheap sunglasses. Or if there is, the expensive option may just look better. In the same way, the inexpensive sunglasses you find at pharmacies are not the worst options there are. They work just as well as any expensive sunglasses in blocking most of the ultraviolet rays from harming your eyes. Overall, there’s not really a big competition between expensive and cheap sunglasses online. The real game is between the prices at which brands offer their products. So, if you want a pair of quality sunglasses without spending much, learn how to take advantage of the internet. Avoid purchasing based on brands, and instead, check the items manually if possible and take certain factors into consideration, like those listed below. There is a huge chance you could save more if you do. Popularity must not be the only factor you should consider when picking the right online store. You want quality but cheap sunglasses online, so be smart when choosing a place to make your purchases. Do your research well, read reviews and testimonials, and see how solid the online store’s reputation is. Buying cheap sunglasses does not always mean you have to sacrifice quality or your preference. You can still enjoy both by choosing well and taking advantage of the special offers the online store provides. For instance, grab the opportunity if an online store offers a home-trial feature. Use this chance to check if the frame and sunglass lens’ material are good enough. It also helps to speak with the owner to discuss your requirements, if possible, so they will know what to offer you. Remember, the deal is about picking a reputed online store that sells quality and reasonably priced sunglasses. But don’t forego other important details as well. When shopping for cheap sunglasses online, always check on quality, which should cover enough UV protection and polarized lenses if you always engage in outdoor activities. Also, it helps to invest in lenses instead of frames if you are on a budget. Finally, ensure to ask for return policies and warranties if you truly want assurance. The secret to finding the best frames online is to personalize it. Firstly, make sure that it is the correct frame size so that it does not fall off if it is too loose or cause any discomforts because it is too tight. Secondly, the eyeglass fame should complement the face shape of the one wearing it. And lastly, it should bring out the person’s true personality and style. Nowadays, it has become easier to shop for the best frames online. In the age of internet shopping, everything is within the consumers’ fingertips. But out of all the many wonderful frame styles, exciting colors, and frame sizes, which one would be best? The answer really is up to the consumer. So how is this done? There are four basic face shapes. These are the round shape, square shape, oval shape, and the heart shape. Finding the correct frame size is fairly easy. The frame size data can be easily found on the inside part of one of the eyewear’s temple arm. If it is not found there, it may possibly be anywhere on the inside part of the eyewear’s frame. For best results, why not do a DIY frame size measurement? It’s not difficult at all. You can click here to know more about it. As a consumer who prefers the convenience of online shopping, you need to be armed with the right knowledge. People who frequently shop online should be aware of this essential information when purchasing eyewear. Eyeglasses have sizes too, just like clothes and shoes, and thus, buying these should not be taken lightly. A well-fitted pair of glasses can lift your outfit of the day to an entirely different level. Style and comfort must always be the ultimate goals in choosing the best frames online. Shopping for sunglasses online can be difficult at times. People tend to second-guess if it is actually worth it. Well, it is worth the trouble. If people only know how to shop for glasses the right way, they will surely do it again and again. There are a variety of online frames to choose from. Big or small, plain or patterened, classic or eccentric—whatever you are looking for, it can be found online. So, how is this done the right way? People come in different shapes and sizes, right? So does eyewear. Frames are like clothes and shoes. They need to be well-fitted so as to serve their rightful purpose. A loosely-fitted frame can fall off easily anytime while a tightly-fitted one can cause the wearer to experience discomforts such as headaches and blurry vision. Thus, it is important to choose the right size when purchasing online frames. In shopping for jeans, it is essential to know one’s measurement of the waist and hip as well as the desired length of the pants. This concept is the same with shopping for online frames. The eye, bridge, and the temple sizes have to be measured accurately. If an old correctly-fitted pair of glasses is readily available, the frame size can be usually found on the inside of one temple. Once the markings have been identified, they may seem code-like with numbers and letters arranged in one way or the other. These are actually the frame’s model number as well as eye size, bridge size, and temple arm length. So, which is which? Eye sizes range from 40mm to 62mm. Bridge sizes range from 14mm to 24mm. Temple arm length ranges from 120mm to 150mm. One helpful tip is to look for two 2-digit numbers and one 3-digit number. These are the numbers that matter in finding the correct frame size. However, in circumstances where the markings have faded due to prolonged use, manual measurement can be done just as easily. For this task, a ruler or a measuring tape with millimeter markings is needed. Bridge Size – This is also referred to as the width of the bridge. Measure the width or diameter from the edge of one lens to the other. Remember to measure at the top of the bridge. Temple Size – This is also referred to as the temple arm length. In measuring this, two measurements are to be done separately. First, measure from the hinge or screw where the arm and lens meet up to the part of the arm where it starts to bend down the ear. Second, measure from the start of the bend to the tip of the temple arm. Add up the two separate measurements thereafter to get the full temple arm length. Once the correct frame size has been determined, it is now time to do some shopping for the right online frames. There is no more need to be anxious about not getting the right fit or wasting money on eyewear frames that are either too loose or too tight. How to save money by buying glasses online? There is no denying the fact that buying anything from the local retail shops located in malls and supermarkets is becoming costlier. Many people don’t even prefer to get their eyes tested or change their previous lenses because of the cost involved in buying new expensive glasses. It is a fact that optician shop costs a lot and they recover the cost by increasing the costs of their glasses. Therefore it becomes quite difficult for people to buy a new pair of glass without breaking the bank. There is a way to get cheaper glasses by taking help from online e-commerce websites. Online shops don’t have the testing equipment with them and they have to bear less overhead costs and don’t have to keep a physical testing lab or employees. All these savings help them save more and also enable you to shop for cheap glasses online. Before opting for buying cheap glasses online, first you need to visit to the local eye doctor where you want to get your eyes tested. After getting your eye tested, you will receive a prescription that will be required while you buy glasses online. You would need to take a picture of that prescription and upload it online on the website from where you wish to buy cheap glasses. Online shops provide you lot many chances of browsing frames, selecting color and personal style depending on your choice and budget. There are also virtual trying rooms where image of a person would be selected and choice of your frame will be put up on the face so as to give clarity to customer about frame type. Prescription is a necessity especially when you are planning to buy a glass frame which has a high number or cylindrical lenses. There are also options for buying designer glasses which otherwise would be expensive if you visit a local street optician shop. There are some of the things which you need to consider before buying from websites. One of the few things you need to check includes delivery timeline, cost of lenses, delivery charges and return policies. Also you need to check how the payment could be made and what options you have for payment. Knowing how to buy cheap glasses online is extremely important for those who are looking to save money. Ensure that the website provides cash on delivery option and secure payments. There should also be a customer care service provided by the online website so that you can enquire about the product or looking to track your order. If you are having trouble relying on the online websites and their reliability then you can check for the online feedback of previous customers and get an exact idea about the service provided the online website. Any good company should be able to assist you on your queries and will be able to deliver products timely and also ensuring customer satisfaction. Over the past few years, cost of healthcare has increased and it is impossible to get the proper prescriptions without breaking your savings. Eye glasses are one of the fields of healthcare which has been impacted because of increase in prices in local retail eye testing shops. Buying a prescription glass is costing a lot for the people these days. It is becoming quite costly to buy cheap prescription glass these days without spending a lot of money. Luckily with the advent of e-commerce and internet, there are number of sites which help catering such requests from patients. If you are facing difficulty in seeing then you need to get your eye checked so that the doctor can provide your prescription about your eye number. Wearing glasses from the wrong kind of prescription can really impact your eyes. It is important to get your eye tested from a knowledgeable doctor before you plan to order cheap prescription glasses online. Eye exam can be conducted from an optometrist and helps find whether you are having farsightedness or shortsightedness problem. There is also possibility of Astigmatism so you need to get your eye tested for all the possible eye related problems. The doctor would suggest you do take some medicines and also recommends taking prescription glasses from a local retail shops. Once you have the prescription glass number then it is better to opt for buying from an online retail shop rather than choosing local optician shop. Most of the doctors don’t recommend buying the cheap prescription glasses form the online stores and also people worry about the quality of glasses. This is wrong notion and one must never abide by it. The reason why doctors don’t recommend from online is because they either don’t trust online shops or get commission from the local opticians when they recommend patients to get their glasses made from those opticians. Local retail stores are becoming desperate to get the customers and even charge a hefty amount of money for those prescription glasses. This is the reason why you would not be able to find cheap prescription glasses from local shops. On the other hand, buying glasses online helps you save a lot of money and time since you would not have to visit the local shops and also you have various options to buy. This way you can save from those expensive glasses and get a genuine price of item which becomes quite difficult from local shops. It can be fun to shop for cheap prescription glasses online and you need to do is ensure that you have a doctor prescription. Select the pair of glasses which suits your requirement and budget. Once you select the order, you need to upload picture of prescription given by doctor and the required order will be delivered to your doorstep within a specified time limit. In order to get the best pair of glasses you need to explore online and get the best ones which suits your requirement. Are you thinking of buying sunglasses online? Here’s an insider tip: products online often beat store prices. Plus, buying online is very convenient. For one thing, you don’t have to leave your house and with just a few clicks away (or taps if you’re using a smartphone), you can easily compare prices and eventually be on your way to getting the best cheap sunglasses online. However, there are some issues in shopping for sunglasses online. There’s the issue of not being sure if the pair you want to get fits you well. Some sunglasses nowadays come with an elastic band. This means that the band is stretchable, but that doesn’t guarantee a comfortable fit. This is where shopping in a traditional optical store is more advantageous over online shopping. In a physical store, there’s an optician who can help you with the process of selection. When looking for the best cheap sunglasses, browse through the online catalogs of online eyewear providers. Most of the time, it shows the description of the product in full detail. View every color, style and other features like the material used in making the frames, whether the product has spring hinges, etc. Deciding on the lens material and lens coating is also important. Note that you may be allergic to some materials or certain ingredients in coatings. How much ultraviolet (UV) protection do you want? If you’re confident in making this decision yourself, ordering online shouldn’t be a problem for you. How do you ensure that the best cheap sunglasses you want is the perfect fit for you when shopping online? There are several ways. Some websites allow you to upload your photo then superimpose the image of the frame of your choice so you can see how it looks on you without actually wearing it. Others offer valuable tips in finding the right pair of sunglasses, which is perfect for the shape of your face, with recommended styles of frames that compliment your facial features. You can also use your current pair of sunglasses as a reference of comparison. We often give it a go and order online when shopping for the best cheap sunglasses, but sometimes, we still end up with the wrong one even after considering all the above factors and we’re left with no choice but to make a return. Some companies that sell web-based optical products have return policies because they are pretty much aware of this possibility. They usually have their return policies posted on their websites so if you end up unhappy with what you got, you can get an exchange or a refund depending on their policy. When you make a return, make sure that the product is in good shape. You’ll practically void your warranty if your return product is mistreated or if it misses a piece. To sum it all up, purchasing a pair of sunglasses online can be tricky for some, but definitely convenient for others. If you are a first-timer, we highly recommend that you, at least, know your measurements and which frames you want. Happy online shopping. Vintage sunglasses are those original designer sunglasses that were first meant to be the eyes’ protection against the sun’s harmful ultraviolet light. Although they may seemingly look outdated, vintage eyewear are styled to ignite creativity that is down-to-earth. They never go out of style and wearing them can greatly enhance your look. Vintage eyewear is a fashion statement because it defies the current trend without being out of trend. Vintage sunglasses are categorized according to the decade when they were made popular. Finding the right vintage eyewear for you can be quite challenging, but once you find the right pair for you, the effort is definitely worth it. For interested individuals, it can be easier to find authentic vintage eyewear in online stores and auction sites compared to manually searching in various physical stores. 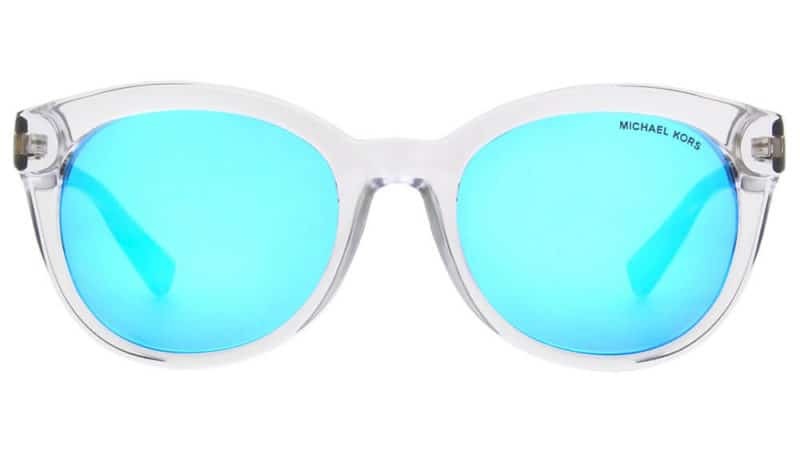 Sunglasses in this decade were more on fun and colors. They were made especially for vibrant young people during those times. Tea shades is the term used to identify wire-rim sunglasses with psychedelic designs. They are also known as “John Lennon shades” and they have become popular for many years and through the anti-war movement’s entirety. 1970s was the time when sunglasses with plastic material called Optyl were invented. Makers of sunglasses at this time made use of lightweight Optyl lenses, instead of mineral glass lenses that are more traditional. Because of the lighter weight offered by the new material, sunglass designs also got bigger. 1970s was also the decade when photochromic lenses were invented. Such lenses changed colors to aid the wearer’s vision even at different temperatures and weather conditions. The most famous photochromic sunglasses at this time were from the popular brand Ray-Ban. Another popular sunglasses brand born in the 1970s is Oakley. As the 1980s occurred, the use of Optyl material continuously surged eyewear makers. 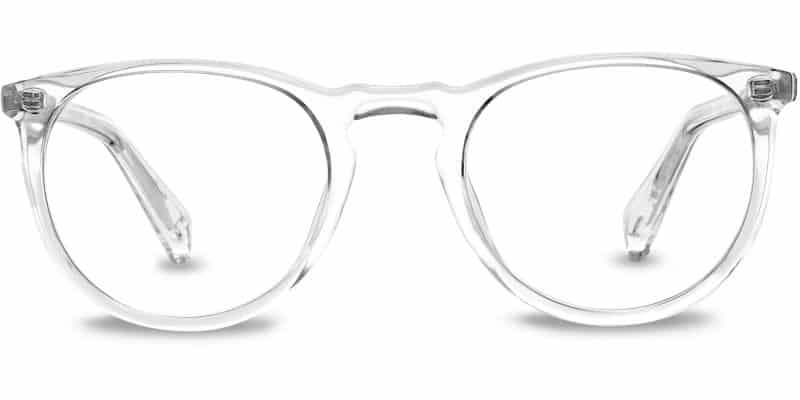 A lot of manufacturers began incorporating plastic lenses into their eyeglasses. Moreover, plastic frames also became popular in this decade. 90s sunglasses were more of a continuation of the 1980s sunglasses trend with little variations. Also, the 1990s was the time when lightweight and flexible eyewear that can even withstand several abuse and still be functional emerged. 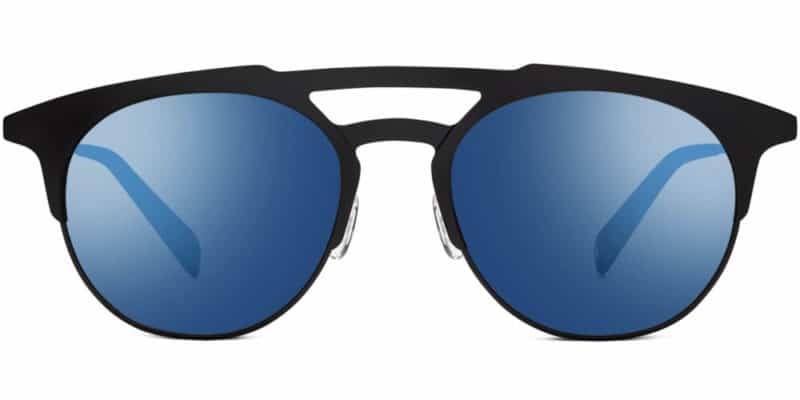 Oakley became more popular among sports enthusiasts because of the unique designs of the frames and the futuristic look. When looking for vintage eyewear, don’t just focus on those that are fashionable and sleek. Always choose those that can protect your eyes for ultraviolet rays, dust and other particles. Also, you shouldn’t just choose which style is good to wear. It is also advisable to find one that can highlight your best facial features. The lens colors also have different optical properties that can fit the wearer’s needed shade. It may be fun to choose a vintage eyewear, but it can also be really challenging especially because several fake products are circulating. Always be vigilant when choosing your eyewear. The originals may have markings that prove the authenticity of the product. So you need a new pair of eyeglasses? Hold on! Before you proceed, here are some things you may want to consider in buying the best glasses online for you, assuming that you already know your fit and the lens you need. Admit it, some of us just Google for online glasses and purchase from whatever is listed in the first page. Avoid this, it is important to be familiar with the eyeglass shop that you are looking at. We are also often blinded by the words “lowest prices” and “huge discounts” not knowing that quality may be compromised. In fact, most websites that promise massive savings also had “F” ratings from the Better Business Bureau. Affordable doesn’t really equate to quality. Do a web search on customer reviews about a specific retailer and read their experience. Oftentimes, these customer complaints influence you in making the decision of buying the best glasses online. Find out if the eyeglass online store accepts your plan if you are covered by insurance. Most online eyeglass stores do not accept it. In that case, you need to pay upfront and just obtain reimbursement from your plan. There are a few online eyeglass stores that acknowledge insurance, so if this is your priority, aim for those. Coverage on manufacturing defects is important. While a lot of effort is exerted in making products flawless as much as possible, defects still happen. Consider also the warranty period. They can go anywhere between a year up to a lifetime, but in some cases, a few companies offer a few weeks. If you are in doubt, or if you think that the warranty period doesn’t satisfy you, then don’t go for it. Some people just consider that the best glasses online come with a good warranty period. Lastly, check the return policies. Some require a restocking fee and if the whole process of returning seems like too much of a trouble for you, then you might as well check the next company. One way of cutting the cost of a new pair of glasses is to use online coupons, discount codes, special deals, etc. Some offer a set discount if you buy the whole pair, instead of just the frames. Some may throw in a second pair at half the price so be on the lookout for these types of deals. Consider getting another pair as an immediate replacement just in case something happens to your first one. Let’s say your first pair is under warranty and it is on its way for a replacement. You can’t be without glasses now, can you? Having a back-up pair of glasses is a smart move for those unexpected situations. Most likely, online companies have a way for you to contact them if you have questions or concerns. You can contact some of them via email, while others have a live chat support feature. Take advantage of these and don’t be afraid to ask questions. After all, you are purchasing for yourself and you only want the best glasses online. Spending several hundred dollars on a pair of eyeglasses at retail shops may seem painful and inevitable. What most shoppers do not realize is that getting the best deals on wide selections of eyeglasses is sometimes as easy as going online. Based on a 2013 survey, consumers were reported to spend about $244 for purchasing a pair of eyeglasses. Two years later, this price median declined after these items were sold online at much cheaper prices. Because of the increasing demand of online purchases, the competition has gotten tougher for companies selling them – and this overwhelmed consumers. That’s why, it’s important to list down the things that need to be considered when buying eyewear. Prescription. Trendy glasses mean nothing if their prescription lenses are not fit for people who wear them. Make sure to consult an eye doctor first before making any purchase. Pupillary distance. This could be determined by an eye expert right after getting a check-up or consultation. The lens type. It’s also essential to ask the doctor about the particular lens type that is best for one’s eye. Frame style. Before making any online purchase, try wearing some eyeglasses first in order to see what style of frame looks good. This can also be done through photos but it will be more accurate if frame styles are tried firsthand. The insurance coverage. 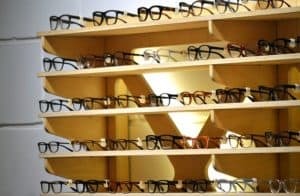 Do insurance firms cover a small cost for purchasing eyeglasses at particular stores? Retail stores. Nowadays, it’s not so hard to check the status of eyewear retailers. With the help of word of mouth and internet research, consumers will be more secured in terms of finding great deals. Shipping details and return information. Check for this information right away, just in case the purchase needs to be returned for some reason. Are there any popular websites to shop for trendy glasses? There are a lot of websites that can be visited by those looking for trendy eyeglasses. Some of them give away free pairs to new customers who can provide discount codes during checkout. However, in order to claim the free glasses, customers need to pay about $10 for shipping and handling. After getting the free item, prescription lenses and frames can be bought at around $48. There are also online shops that sell eyeglasses with basic frames at around $59, while offering designer frames for roughly $500. Lenses are already included in the prices and shipping is absolutely free. Furthermore, shoppers can choose from a wide range of trendy designs such us cat eye, hipster, or geek chic. Some of them allow their customers to chat with glass gurus while shopping online. However, these websites only typically offer one-month refunds. Also, there are retailers that sell polycarbonate lenses at $69. Upon purchase, around 3% of this amount will be donated to the customer’s chosen charity. When it comes to returning an item, these sites require a certain fee for customers in case they are unsatisfied with their purchase.